Forget dusty books written by people who’ve only been to Barcelona for a few days. The dream is to veer off the beaten tourist track, locating the tucked-away secret spots where the locals hang out. Joe Dibben, a seasoned tour guide, lets us in on his favourite parts of the city. 1. To get up above Barcelona and admire the famed architecture, I recommend taking a hike/bike up on the trails of Montjuïc hill, which overlooks the port and the city. For running, my girlfriend loves to follow the beachfront of Barceloneta, with a detour inside town itself to circle futuristic Torre Agbar tower. 2. If I had to choose one museum to visit, it would be the Museu d’Història de Catalunya. I study history here, so I’m fascinated by the hot topic of the Catalan Independence. Learning about it brings the city to life. 3. 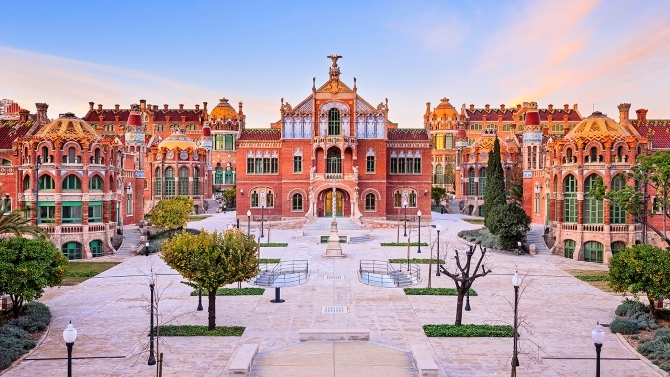 The well-worn tourist route takes in the incredible Sagrada Família, but just around the corner is an amazing sight, the Hospital de Sant Pau, which often gets missed. It features many ornate buildings by Lluís Domènech i Montaner, the unsung hero of the Modernist movement after Gaudí. There are underground tunnels and gardens too. It’s only ten euros to get in. 4. I love to go to La Monumental bullfighting ring, which regardless of what you think of bullfighting, is a beautiful noucentista building. It’s only six euros to get in, and because hardly anyone knows about it, it’s often deserted. You can run around and pretend you’re a bull. The guy who generally works the door is a former bullfighter himself, so he’s interesting to talk to. 5. In Barcelona you can get absolute bargain two/three-course-meals for a set price. They call it the ‘menu of the day’ and it’s generally served at lunchtime. My favourite place to eat is El Atril, in the Gothic Quarter. Also, I like Carrer Blai, a street which features lots of cool, intimate pinchos eateries. Pinchos are bar snacks; slices of bread topped with meat, vegetables or fish. It’s really buzzy on a weekend night and not too touristy. 6. For a villagey going-out vibe, I head to the bohemian Gràcia neighbourhood, which features quirky vermouth bars. Up until relatively recently, Gràcia was a village in its own right. 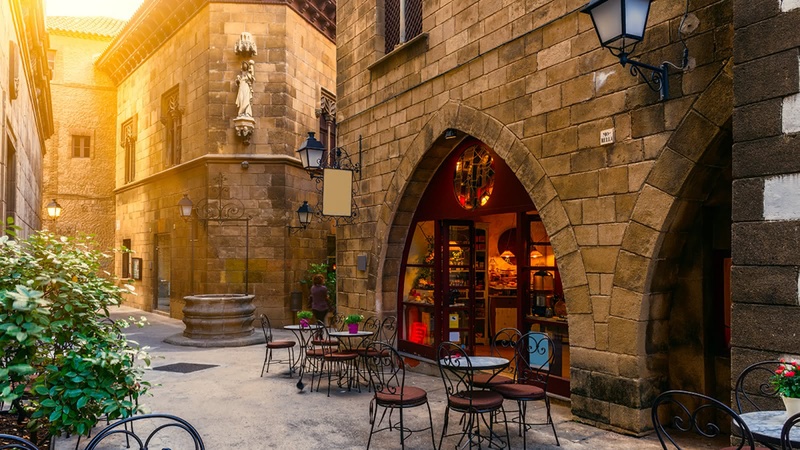 I also enjoy the area around the El Born Cultural Centre in the Gothic Quarter, particularly Numeronueve on Vidrieria Street. For music, I go to the Sala Apolo nightclub, which hosts indie nights. 7. You can’t beat Nova Icària beach for watching the sun rise. Or if you’re feeling adventurous and want to get out of town, take the train (it literally costs one euro) to Montgat from either Pl. Catalunya or Arc de Triomf. Montgat has a really quiet beach with clear water and a great view of Barcelona. 8. If you’re lucky to be here on the one weekend every month when Palo Alto open-air market is on, definitely check it out. Food trucks, street art, music, sustainable clothes stalls; it’s great. 9. 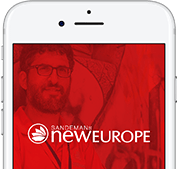 For a free (no catch, tips optional) walking tour of Barcelona, come and see me or one of my colleagues at SANDEMANs NEW Europe. Look forward to meeting you! 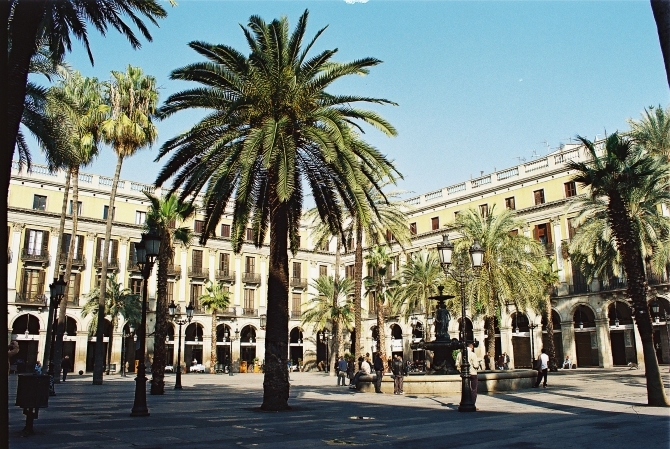 Click here for more information on how to find the renowned Barcelona walking tour.